The Indiana Society for Respiratory Care Program Committee is pleased to invite you to our 2018 Respiratory Care Seminar. The seminar will be held September 13 and 14 at the Horizon Convention Center in Muncie, Indiana. This year we expect about 300 participants from Indiana and the surrounding states. Special sponsorship packages are also available. Booth rental and sponsor packages are outlined in the accompanying application. If you have any questions, please feel free to call Jeff Hunsucker at (317) 944-1007 or email jhunsucker@in-isrc.org OR Jeff Scott or email jscott@in-isrc.org. Get your application in early, because booth space is limited. For your convenience, a link to sign up is located on the ISRC website. If you need to mail a check please mail it to: ISRC PO Box 951, Indianapolis IN 46206-0951. 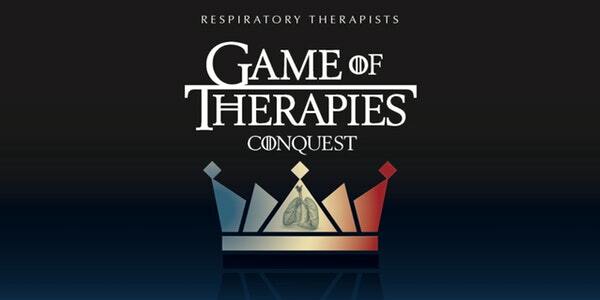 The theme for this year’s seminar is “Game of Therapies.” The therapists attending the conference will choose a “Best in Show” Booth. Best in show is based on votes from the therapists and the booth that incorporates the theme the best. The Program Committee also will recognize one sponsor for outstanding support of our state society. Back by popular demand is trivia night! We will be looking for a sponsor for this. If your company is interested please contact me. For the 15th year in a row, the ISRC will have a Silent Auction at the conference to raise money for student scholarships. We invite you to participate in the bids with everyone else and we would also appreciate if you would consider donating a basket or item to be placed in the auction. If you would like to donate something to be auctioned, please contact Mary Todd at (812) 779-6842 or email marytodd25@yahoo.com. More details on the event registration site.